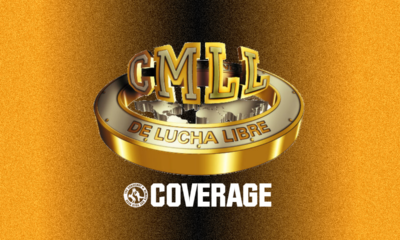 Welcome back to Wrestle-1 and last time we covered them, a lot has happened with CIMA and OWE invading Wrestle-1 to shake the company up, as they will be fighting each other in a series of matches during the show and Manabu would also retain his championship in the process. Our main event tonight is for the W-1 Tag Team Championships since Jiro and Masato would defeat Ashino at the previous show as they look to have the match tonight. Will W-1 be able to drive OWE away on their first night or will they show that they’re here to stay? Let us…dive right in. Review: We open up the show with a regular exhibition match between Takanori Ito as he takes on Takumi Baba. This one was really nothing to write home about because this was more of an average squash type match with one guy controlling the majority of the match in a short amount of time and eventually Takumi would get some offense in the match for about a brief moment and ended after he would hit a Dropkick off the top rope and Ito would turn it around with a few kicks to the chest and would call for the German Suplex Hold for the win after about five minutes. Ito reminds me a bit of Kevin Owens and I think I said that before since he pretty much has the same attire as him, same body type and is quick, but doesn’t have the full intensity like Kevin does, but he does have potential to be a top guy in W-1. Review: Time for a six-man tag match involving someone that is responsible for the invasion of CIMA and OWE, NOSAWA and he got exactly what he wanted so let’s see if he’s right later on tonight, but now he has to focus on his match against Ganseki, Koji, and Tsugutaka. With another old vs new style tag team match, it’s what you expect with Koji getting the early shine in the match and would lose it once Ganseki came in to take in the heat of everything from NOSAWA, MAZADA, and Kono as all three of them would just give him a beating without giving him any chance to tag in anyone else, which is how it should be when it comes to tag team matches. Eventually, Koji would get back in the ring for the hot tag and would clean house with his powerhouse style and would tag in Sato to try and put it away, but NOSAWA would hit a Shining Wizard on Sato, followed by a Lariat from MAZADA and Kono would hit a Chokeslam to try and win it, but Koji would break the pin just in time. NOSAWA and MAZADA would fight the illegal guys on the outside of the ring as Kono would hit a Chokebomb for a two count and then would hit his Running Knee as the young guys would lose once again. 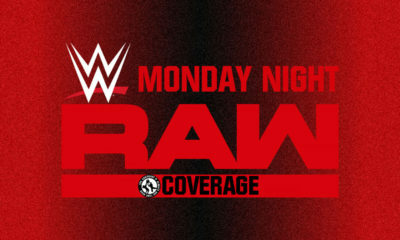 Review: On our last show, Kodama would defeat Seiki to become the new Cruiserweight Champion and was then challenged by Pantera to be the next contender for the belt as we have no match date for it just yet, we got a tag match with Pantera partnering up with Alejandro while Kodama would team up with Kenichiro Arai. We get our preview early as Pantera and Kodama would start the match off with Pantera being all quick in the ring and even ran the middle ropes for a bit before the two locked up and Pantera is just too quick for him with his cat-like reflexes, no pun intended. Kodama would throw Pantera to the ropes and he just flips outside on his own as he landed on the entrance ramp before going in to do a Springboard Dropkick to make him go outside of the ring as Kenichiro would run in only to be tripped down as Alejandro would hit him with a Crossbody to make him go outside now and it looks like they’re both about to do a Suicide Dive, but they psyche them out as they are still in the ring taunting them. Alejandro gets tagged in now and looks to do a Splash to the corner as Kodama would move out of the way and kick Pantera down before going back to the ring to tag in Kenichiro as he now begins to work on Alejandro’s arm and that seems to be the key focus for Kenichiro and Kodama when they kept tagging each other back and forth while still working on his arm to injure it more until Kenichiro came back in the ring to do more damage as Alejandro would hit a Hurricanrana to get him down as he makes the hot tag to Pantera. Pantera would hit the both of them with a Tilt-a-Whirl Backbreaker and would go to the ropes to do a Springboard Frontflip onto Kenichiro and before he could do anything, Kenichiro would tag in Kodoma when he wasn’t looking and hits Pantera with an elbow while Kodoma hits a Diving Crossbody for a two count. The two start punching each other back and forth until Kodoma would rake his eyes and went to throw him into the ropes, Pantera would hit a Springboard Headbutt and top it off with a Dropkick before he made his way to tag in Alejandro who hits a Dropkick off the ropes and Pantera would hit a Drop Toehold to make Kodoma land between the ropes so they would hit a Double 619 and a Double Dropkick as Alejandro goes for the pin, Kenichiro would break the count. Alejandro and Pantera would hit the ropes again but Kenichiro would pull Pantera out of the ring, giving Kodama an opening to attack Alejandro with a Fisherman Buster and then he hits his Mad Splash to get the victory. Recommended: Solid match, worth watching. 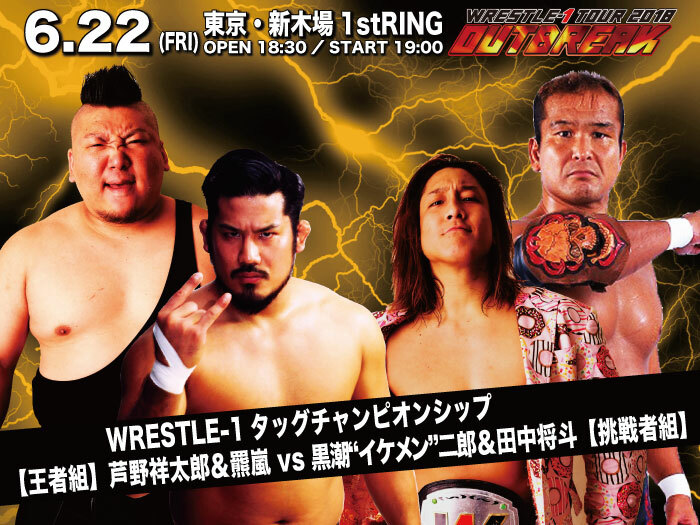 Review: It is now time for Strong Hearts vs. Wrestle-1 to begin as we have our first match with the leader, CIMA to take on Jun Tonsho, who has been pretty impressive during the last couple of times that I’ve seen him wrestle and should be an interesting bout. Soon as CIMA got into the ring, Jun would start to Dropkick him right away and start going after him so CIMA doesn’t get a chance to fight back and it’s a smart move on his part to try and take him down quickly and does with a few more Dropkicks and once he attempted to go for the Dragon Suplex, CIMA would fight it off and hits a Dropkick of his own. CIMA would first hit a Fisherman Buster for a two count and he quickly picks him up for a DDT and then goes to the ropes to hit his Meteora for the quick victory as he defeats Jun in less than two minutes. Strong Hearts has one point on the scoreboard while W-1 has zero. Recommended: For a match being two minutes, it was pretty entertaining. 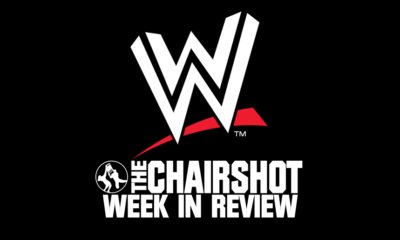 Worth a viewing I say, especially if you’re interested in this feud. Review: After pretty much CIMA getting the quick work done on Jun, our next match is a tag team match as we have Kaz Hayashi leading this one with former Cruiserweight Champion, Seiki Yoshioka as they take on two of Strong Hearts members, Dezmond Xavier and Zachary Wentz and I’m excited for Zachary as he’s been one of the breakout stars for me in 2018 and I can’t wait to see him shine more tonight. Zachary and Seiki start the match off with first some basic chain wrestling as Zach would turn it around into an Armbar to try and make him tap, but Seiki would have his foot on the rope to break the hold. Seiki would start ducking Zach’s strikes and attempts to go for a Baseball Slide as Zach jumped over him and ran to the ropes to do a Springboard Corkscrew to knock the former champion down and once Saiki got back up, Zach would tag in his partner Dezmond. as Seiki backed up to tag in Kaz. Dezmond would outsmart Kaz with his strikes and jabs whenever Kaz would try to throw or hit him as Dezmond kept on turning it around and threw him into the corner only to be thrown over, which Zach would tag himself in the second Dezmond hits the apron and would kick Kaz in the back of the head and jump over the ropes to kick his chest in and soon as Dezmond rolled off him, Zach would jump over Dezmond to hit the Bronco Buster and impressive teamwork right here. Seiki would attack Zach for a bit and Kaz would Dropkick his leg to knock him down as he now begins to work the leg a bit until he went for a Handspring Enziguri only for Zach to duck and hit the same move but with a Dropkick as he connected and hurts his knee in the process before tagging in Dezmond. Dezmond would Dropkick Kaz on the back of his head to make him roll out of the ring and went to go for a dive, but gets punched in the face instead as Zach would jump over the ropes to land on top of Kaz. Seiki would try to attack Dezmond and gets thrown to the ropes and he does an Asai Moonsault to the outside only for Dezmond to do a cartwheel into a Moonsault to the outside as well as the place goes crazy. Dezmond get Kaz back in the ring and goes for a 450 Splash to only land on his feet since Kaz moved and would hit Kaz with a jab to the midsection as both him and Zach would hit a combination of strikes where Zach ends it with a Double Stomp while Dezmond goes for the cover and Kaz kicks out. Seiki and Zach get tagged in and Seiki would look like to put it away as he hits the Headscirssor Slam and tops it off with a Roundhouse Kick to go for the cover but Dezmond breaks the count and gets Kaz out of the ring. Seiki went to go for the victory as Zach had him in a short-arm hold as Dezmond hits Seiki would a Superkick and Zach turns him around for a knee strike as Zach went to go for his Standing Moonsault by Seiki’s feet, Dezmond would push him mid-air to make him land on Seiki for the win. Strong Hearts now has the lead 2-0. Recommended: Great match and I’ll even post the video of the match on here so you can see it for yourselves. Review: This will be the last match in the Strong Hearts vs W-1 matches for the evening as it is not a six-man tag match with our Wrestle-1 Champion, Manabu Soya leading the team with Andy Wu and Shuji Kondo as they take on T-Hawk who leads the team with El Lindaman and Chinese star, Gao Jinjia. Can Strong Hearts get a clean sweep or will Wrestle-1 finally get a victory here? This is my first time seeing Gao in action here and I gotta admit that while he’s a little bit green and needs more work, he’s very athletic and can definitely move in the ring here, I hope to see more growth from him in these matches. Lindaman is someone I wasn’t fully sold on in Dragon Gate and I still cannot get into the guy here since he’s just mediocre at best in my opinion. T-Hawk is someone I felt like he wasn’t ready for the big spotlight when he won the King of Gate last year and once he teamed up with Eita, he started to slowly get better in the ring and with his character work, and now seeing him here made me think that it would be a good place to start if he does get involved with major storylines with W-1 depending on how long the feud will go on for, but I do believe that Manabu will eventually fight at least CIMA or T-Hawk for the championship depending on the direction they go with it. 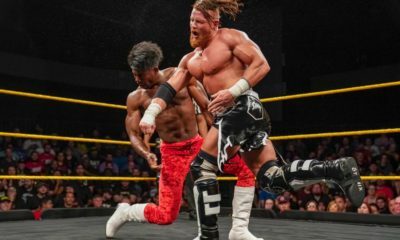 The match was solid with mostly Kondo and Wu doing the work in the matches while Strong Hearts relied heavily on the heel tactics and greater numbers against one person. When Manabu was in the ring, he really played his strengths into the match to show that the company was his house and he’s not going to let another promotion come in here and try to take it from him or the others in Wrestle-1. One move I did love was that Gao jumped onto Lindaman’s back and hits a 450 Splash off his back and onto Andy Wu, I don’t think I really see that happening and thought it looked awesome. T-Hawk and Andy are in the ring now and it looked like Wu would get the one win Wrestle-1 needed over Strong Hearts, but Hawk would hit his Black Tiger Bomb and get the three count. That’s right, Strong Hearts was able to get a clean sweep over Wrestle-1 by winning all three of their matches tonight. 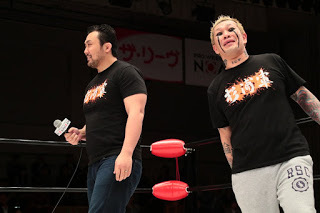 The two teams would continue to brawl in the ring after the match while T-Hawk was getting confrontational with Manabu hinting that they would eventually fight each other again soon. 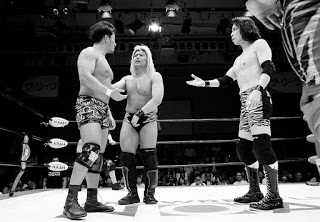 W-1 would eventually leave the ring during the brawl and T-Hawk declared that they will all return for the Korakuen Hall show on July 18th. Though he stated that this time around that STRONG HEARTS will announce their matches/teams with W-1 being given the chance to follow. Recommended: Solid six-man tag match, worth a viewing. Review: At the last show, Jiro would get the surprise victory over Ashino with the Ikeman Flash and Jiro stated that he and Masato would challenge for the belts at the next show with his partner this time since Kuma was busy that night taking on Manabu for the Wrestle-1 Championship and then lost. Both Ashino and Kuma would need to win this match here to redeem their losses or will Jiro pull the upset once again with Masato and have a second belt in his collection since he’s still the Wrestle-1 Result Champion? Yes, Masato is still rocking Jiro’s jacket and wearing it while he wrestles in this match, I just love how he can be a heel in a few places while being the babyface in other companies like this one. I love whenever Jiro and Ashino work together in the ring since they have such great chemistry together with Ashino’s ability mixed up with Jiro’s charisma gives us unique matches together. I liked how Ashino would tackle Jiro down and would just kip-up right away and do it a couple of times even when Ashino would rake his eyes and throw him down to the ground and Jiro would just find a way to mess with Ashino, it’s the small types of interactions mixed with their chemistry that I just enjoy. Kudos to Kuma for showing off his power and throwing Jiro around like a rag doll and he sold that once he hits the turnbuckle post on the outside, even when Kuma tried to throw him into the ring, Jiro would bounce off the ropes to fall back down to the outside and it made Kuma look great here. Masato getting the hot tag and in the match and starts exploding in the ring and he continues to show that he can still be at the top of his game for a man his age, it must be that ancient Japanese secret that I don’t know about and need to figure out. Ashino would lock the Ankle Lock on Jiro and would make sure he wouldn’t let go of the hold so he could make him tap out this time instead of giving him any type of advantage to escape and pull another upset like he did at the previous show and while Jiro was able to escape, Kuma would be ready to do a Diving Senton onto him off the second rope to add more damage to his body and Masato would hit Ashino with a Brainbuster off the top rope as Jiro hits his Moonsault Press to go for the win, but Kuma broke the count. Ashino isn’t done yet with Jiro as he worked him more with some stiff European Uppercuts and a T-Bone Suplex to go for a two count and would reapply the Ankle Lock once more to see if he could get him to tap out once more and he still fails to do so, and Masato would catch Ashino off guard with a running knee to the face and Jiro would hit not one, but two Moonsault Presses to double tap him and pins him for the win as we have new Tag Team Champions! Seeing the title change hands rather quickly did throw me off guard, but at the same time, I think it made sense since Ashino is too good for the tag titles and needs to focus on getting his Wrestle-1 Championship back, maybe Kuma can find a different partner from his faction to go for the belts. 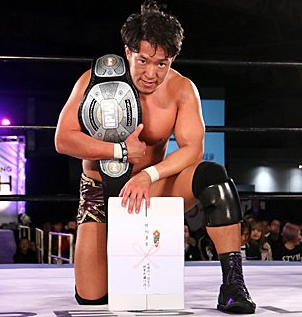 But congrats to Jiro for now holding two championships in the promotion and if he can win the Grand Prix, he’ll have a chance to win three belts if he can also defeat Manabu, but again he has to win the Grand Prix first. Recommended: Very fun match and all four of these men delivered for a great main event. Give it a watch. 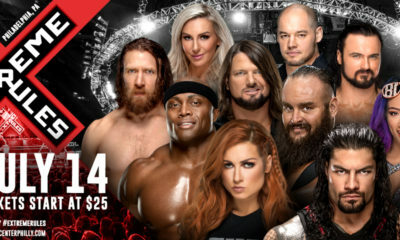 Overall: I was amazed that Wrestle-1 was able to pull off two great shows back to back and they added new elements to their storylines and rivalries to make me wanna watch more of them frequently if they were able to upload shows in time instead of almost a month in between. Next up is the Wrestle-1 Grand Prix which takes place on the July 1st show and will have the semi-final and finals taking place on July 18th (my birthday), and the winner of that match will fight for the Wrestle-1 Championship on their big show in September 2nd. The entrants to this match are Jiro “Ikemen” Kuroshio, Masayuki Kono, Kaz Hayashi, Shotaro Ashino, Shuji Kondo, Koji Doi, Takanori Ito, and Kumaarashi. 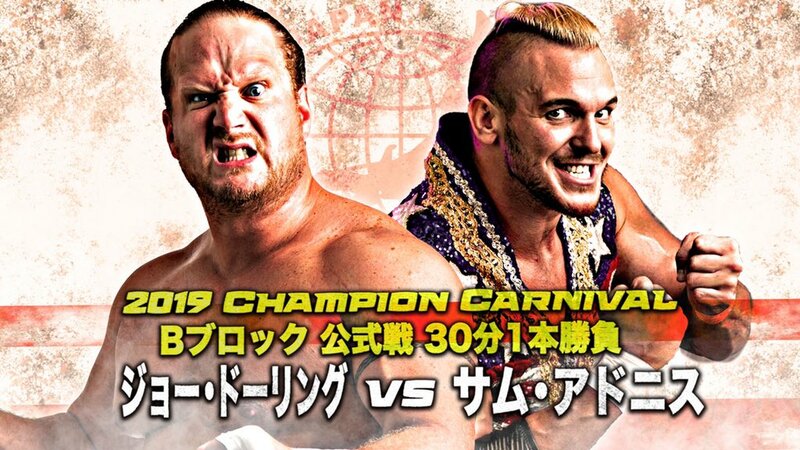 I’m gonna go with Jiro making lightning strike twice and win it back to back, but don’t be surprised if Ashino wins the match to set up the rematch between him and Manabu.